One of the most significant advantages of a cloud-based system is agility. Everyone in your insurance community from clients, brokers and your core backend users can access the systems they need in real-time, quickly and cost-effectively. In a traditional, client/server environment, a complicated setup of virtual private networks (or remote terminals), is needed to access core backend systems. State of the art features like client broker facing, online quoting, client/broker portals or smartphone apps are costly to create and connect to your backend systems in real-time. A cloud-based system can allow for these features (and more), and with a more configurable model, you can save both time and money. Smaller companies have limited resources and staff, so using an insurance platform hosted in the cloud allows them to share these resources more effectively. The core solution is maintained by your SaaS (Software as a Service) provider which can include regular updates. With traditional enterprise systems, the upgrade path is often slow and arduous, any new feature that you might require can involve an expensive process so to staying on the cutting edge of technology is a costly process. As the cost of the software is often based on a subscription model of some sort, the price of the software is paid over an extended period with a smaller upfront cost. This is why SaaS is so disruptive: the per-user cost for application and database licences is either nullified or drastically reduced. In many cases, the subscription models allow for “pay as you grow”, which means lower upfront costs for small companies which only increase as the company expands their customer base and revenue. Having your insurance software in the cloud allows your staff to use what they already have in their pockets to access your full platform, even on their mobiles. With most cloud-based solutions, you can have one user or thousands, with the only cost managed by your subscription model. If a customer has a question or needs to change something on their policy, your staff don’t need to head to the office desktop; they can make changes that automatically update the existing data. This type of flexibility is perfect for salespeople or brokers who may be travelling all over the world to work with potential clients - this also means that staff can look at their payroll or CRM quickly and efficiently whilst they’re on the go. As your company grows, so can your solution(s). You may start with essential features, and as your organisation expands, you can either self-implement or use consulting services to increase the full range of features that are available. Your company is thus able to keep at the cutting edge with little investment and reach markets or automate processes to stay ahead of the competition. 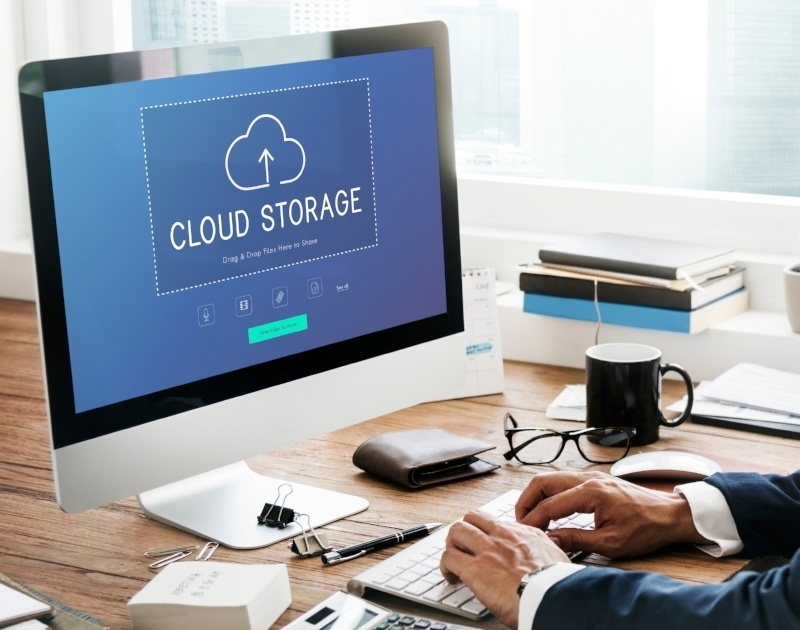 Cloud-based systems are managed by the application development company so you might need to pay for this storage, but you do not need to worry about disk space, backups, offsite backups, backup rotations or server upgrades. Often, all you need is a device with a browser. Purchasing enterprise level systems or building a complete and flexible system can cost millions, yet for a minimal investment with cloud-based or SaaS-based software, you can have the best of breed available without this massive overhead. As SaaS software is often designed to be multi-tenant with all clients using the same code base, the system usually has a high amount of configuration to be able to suit each company’s individual needs. In the cloud, these updates happen regularly, generally with no "downtime". The attitude of the SaaS-based solution is constant development and regular releases, so often a company will have access to new features as part of their support and maintenance agreement with no need to set up or pay for consulting to configure new features. The configuration capability allows the company to set up the system to suit its own needs with little or no development required which again makes a SaaS-based solution more economical. The Future of Insurance is Bright – the Future of Insurance is Digital!